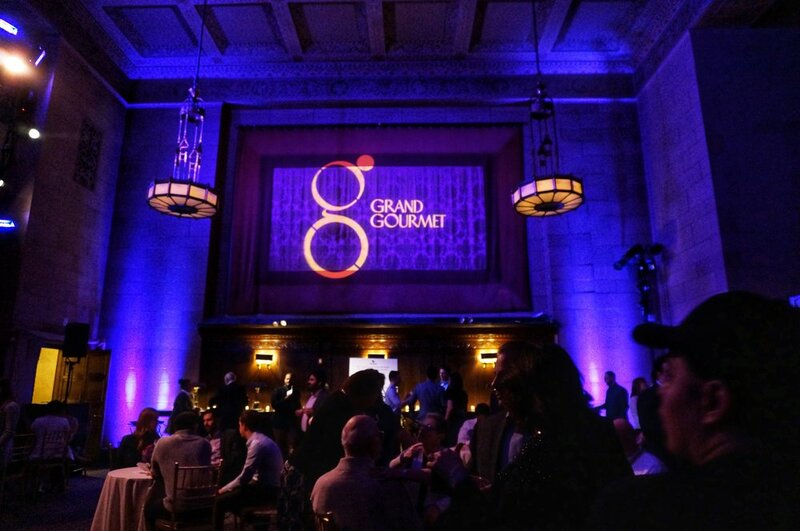 On Tuesday, February 5th, Cipriani 42nd Street hosted the 2019 Grand Gourmet – The Flavor of Midtown. After a three-year hiatus, this upscale benefit event finally came back to celebrate the Grand Central Partnership's 30th Anniversary, as well as a beautiful and warm evening in NYC's February. Located in the heart of Manhattan, Cipriani 42nd Street is a tribute to the architecture of masterpiece inspired by the Italian Renaissance, and the perfect venue for sophisticated celebrations. With towering marble columns, soaring ceilings, magnificent inlaid floor, and glorious chandeliers, it is a visual spectacle that never fails in impressing its guests with its pure beauty inherited from the old world. This year's Grand Gourmet featured 43 upscale restaurants that represented the distinguished flavor of Midtown. Ambling among tables, I got to taste a great variety of cuisines such as the ‘BluePoint Oysters' served by Grand Central Oyster Bar, Pera's signature ‘Fresh Lamb Adana Cut Roll', ‘Black Sesame Waffle Tarts with Tuna Tartare & Spicy Mavo' from The Sea Fire Grill, and ‘Crispy Duck' by Café Centro. The delighting samples were all prepared with fresh ingredients, high quality, aromatic flowers, and creative table settings. After three hours of binge eating, my stomach was contentedly stuffed with the flavor of not only Midtown but also around the globe. If I am asked to choose one of the highlights of Grand Gourmet, it would be the instant photo booth. The photo booth offered a unique experience where guests could dress up in chef caps and hold the giant forks. Give the camera a big smile, and let's call it a night with happiness. I walked out of Cipriani with the best cuisine tasting experience I've ever had. Some guests were chatting with their friends and enjoying the breeze outside, having an intermission before going back for the second round. The flavor of Midtown lingered in my mind for the entire week, and I will definitely come back to it very soon, especially when Valentine’s Day is just around the corner.